This is an updated post from May 2015. I have taken new pictures and modified the recipe only slightly. I could not find any limes, so I had to use lemons instead. 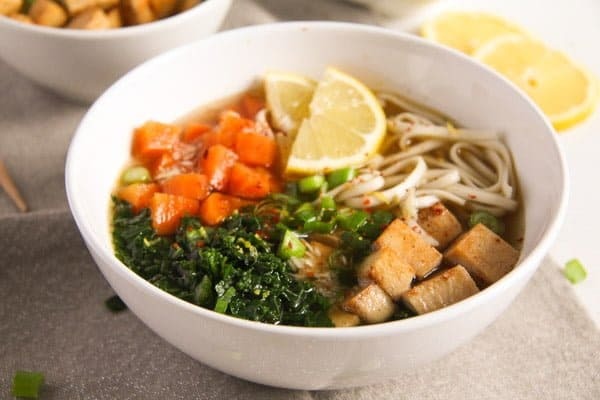 The same with soba noodles, they are not something I can just go buy around here, so unless I order them online or buy them in an Asian store in a large city, there is no way I can have them. But I did still have lots of ramen noodles from my last trip to an Asian store, so I used those. But no matter what, either with lime or lemon, with soba noodles or ramen noodles, this soup remains fantastic! 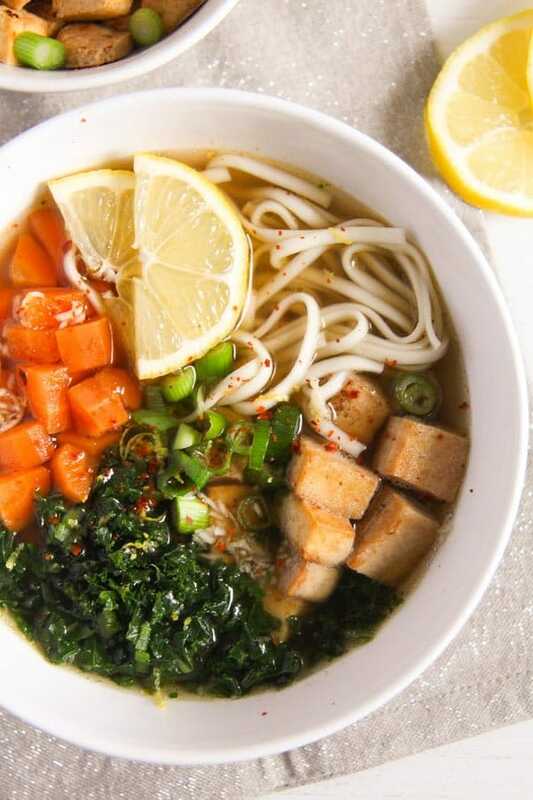 Light and flavorsome little soup to keep you warm on a rainy day. I found this recipe on The First Mess but I simplified it a little. 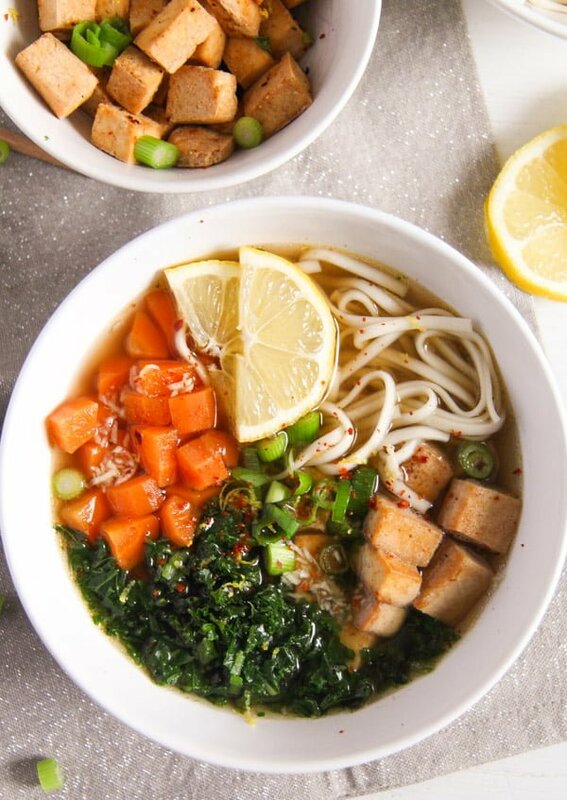 I didn’t make the vegetable broth because I still had some in the freezer and I fried the tofu, because I was hungry and I thought this would make things quicker. 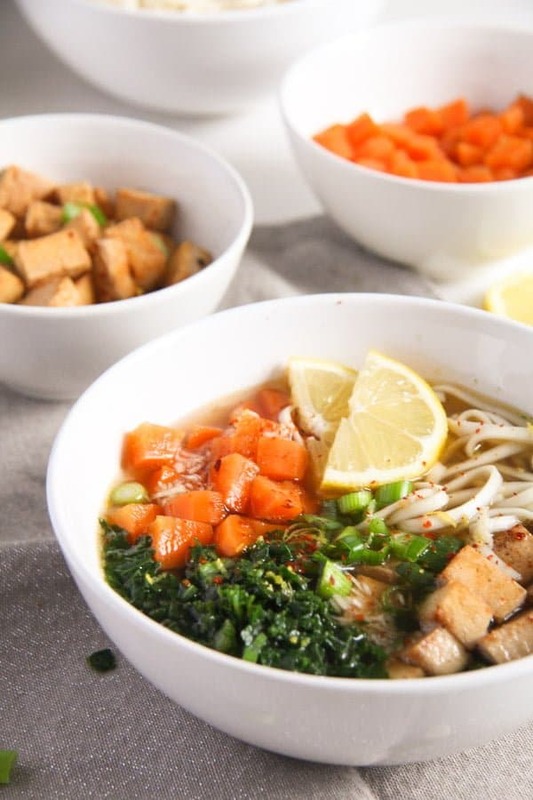 If you are in search for a vegetable broth recipe, you can have a look at this post: How to Make Roasted Vegetable Broth. 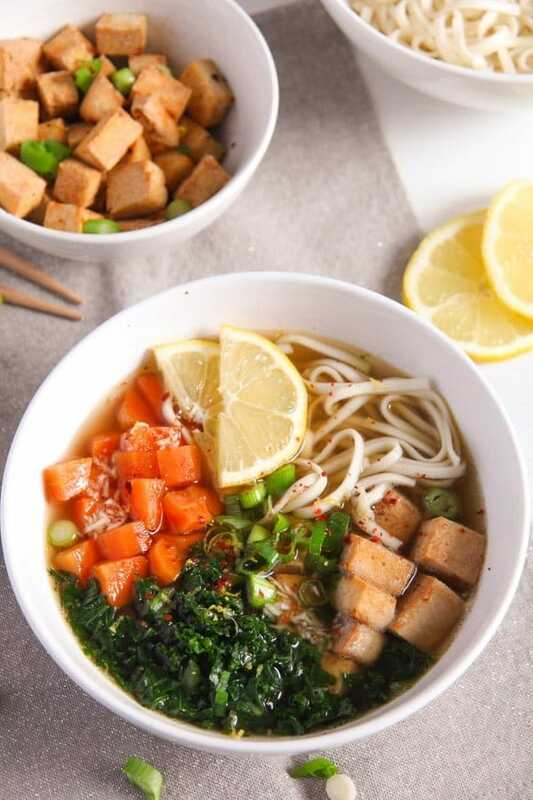 The result was great: a quick, healthy, vegan soup that I have made 3 or 4 times already, an easy lunch that leaves you satisfied and full of energy for the rest of the day. A word of warning though: this is not really something for the children. At least not for mine. They only took one look at the soup and asked if they can have some bread and cheese. I could convince them to eat a few spoonfuls of the broth and a bit of the noodles, but nothing more. 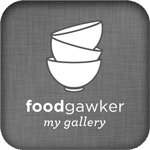 Fast forward in January 2018: my kids ate the soup this time! All of it, except the tofu, they only had one cube of that and let the rest be. But they even ate the kale!!! Dry off the tofu with a paper towel and cut it into cubes. Toss it with salt, pepper and some chili flakes. Heat the oil and fry the tofu until golden brown all over. Sprinkle with some lime zest. Bring the vegetable broth to a boil. Cut the carrots into small pieces, add to the broth and cook until soft. Take out off the soup using a slotted spoon. Adjust the taste of the soup with salt and lots of pepper. Microplane the garlic cloves into 2 serving bowls. 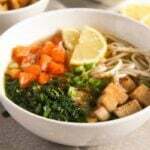 Add the finely chopped scallions on top, the chopped kale, the carrots from the soup, the noodles, kale and tofu. Pour the broth into the bowls and serve with lime wedges. This is definitely my kind of food…so warming, healthy and packed full of flavour too. You would love it, Angie. I’ve been searching for a good soup recipe and I am so happy I stumbled upon your recipe, Adina. What kind of oil do you use for this recipe? Thank you, Allie. I wish you a great year too. The type of dish that my little one and hubby would enjoy a lot. Soup is so wonderfully comforting and this one is gorgeous to boot!